Who are the greatest male cyclists of all time? That would make a good trivia question at the cycling club’s annual dinner, and it’s sure to provide fodder for unending debate. Think about it: How many of us in America know enough cycling history to even come up with five good names? Sure, you could list the men who have won five Tours de France: Anquetil, Merckx, Hinault, and Induráin. (I’m omitting Armstrong, whose seven victories were officially annulled.) But that’s only four names. And Le Tour, of course, is only one race. Most of us don’t know our cycling like we know our baseball. Any baseball fan past infancy knows the names Ruth and Gehrig, Mantle and Mays, Clemens and Bonds. But American cycling fans would be hard-pressed, I think, to remember — let alone spell — the names Joop Zoetemelk and Roger de Vlaeminck. Both of those men, as it turns out, probably belong on any list of all-time greats. Zoetemelk was a Dutch ironman who started and finished the Tour 16 times (and won it once). De Vlaeminck was a Belgian steam engine who won the brutal Paris-Roubaix four times, the marathon Milano-Sanremo three times, and Tirreno-Adriatico, the Race of the Two Seas, six times. I know all of this thanks to CyclingRanking.com, a well-researched and well-documented site that attempts to list, in order, the greatest professional men’s cyclists of all time.The site is a labor of love by a Dutch family that started out as a kitchen-table exercise in the 1970s, and it will humble even the most studious cycling fans. Its methodology awards points to cyclists for results across the calendar and over a full career, each race weighted according to stature and difficulty. Source data stretch back to the 1800s. The first name on the list, of course, is Eddy Merckx, the Belgian Cannibal, inarguably the greatest men’s cyclist of them all. 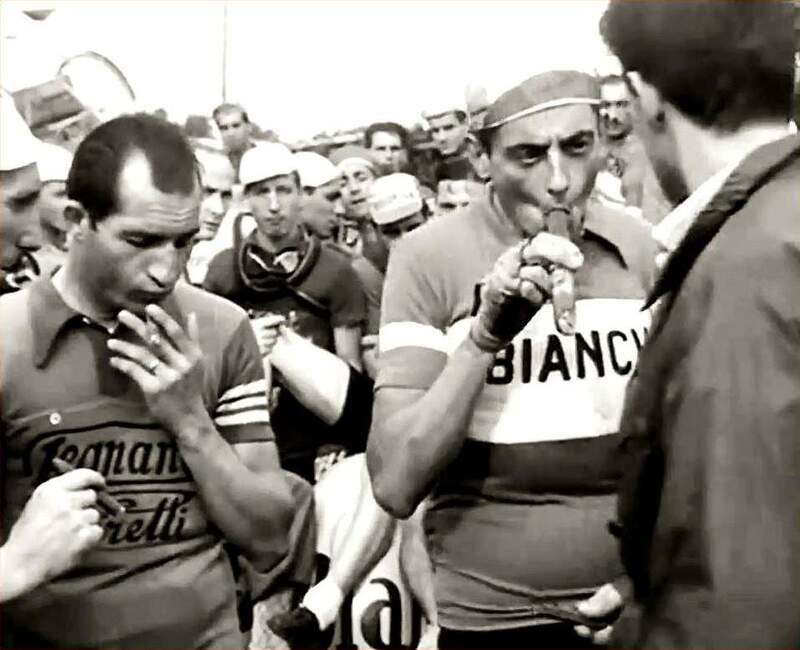 But after that, things get murky, just as things would in any barroom argument about cycling’s greatest. The men who rank second and third all-time on the CyclingRanking list, Gino Bartali and Sean Kelly, will surely ring familiar to older and more knowledgeable fans, but good luck asking ordinary Americans to identify either one. The men ranked fourth through ninth — Valverde, Zoetemelk, Moser, Gimondi, de Vlaeminck, and Poulidor — are hardly household names. In effect, the CyclingRanking list serves as a reminder that professional cycling is a lot bigger than the Tour de France. This ranking shines a light on cyclists who amassed epic results across the entire cycling calendar, in races most U.S. cycling fans have never seen. Much like baseball’s Hall of Fame, the list also seems to reward consistent achievement over a long career. “What I really appreciate about our work is the possibility it offers to see the lesser gods of cycling in the right context,” said Stephan Van Uijtregt, who runs the site with his brother, Arnim, and father, Peter. “One of my personal favorites, whom I consider to be one of the greatest of all time, Fausto Coppi, doesn’t even make our top 10.” Coppi got a raw deal, his incredible career interrupted by World War II. He is the Ted Williams of cycling. His family’s website makes a strong case for reordering cycling’s hero-worship mythology. Let’s start with the all-time kings of Le Tour. Apart from Merckx, none of the sport’s five-time Tour winners appears near the top of this list. Bernard Hinault, the Badger, checks in at No. 10, just behind Raymond Poulidor, a man they called the “Eternal Second” because he never won the Tour; he just came close, many, many times. Jacques Anquetil, the greatest French cyclist not named Hinault, ranks 12th. Miguel Induráin, the Spaniard who won five straight Tours in the 1990s, falls just outside the Top 20. Lance Armstrong, the only cycling name most Americans recognize, ranks 29th. (And that’s giving him credit for those seven asterisked victories.) LeMond, now officially the only American to win Le Tour, weighs in at No. 54. LeMond is the Sandy Koufax of U.S. cycling, his brilliant career cut short by injury. Perusing the CyclingRanking list, it’s easy to forget how thoroughly the United States and Great Britain have dominated the Tour over the past 20 years. No one from any English-speaking nation ranks higher than Armstrong (29). The next non-European on the list is Australian Phil Anderson (32), the first non-European to wear the yellow jersey. Much as the Van Uijtregt family’s ranking system seems to disfavor the Tour, it also appears to favor the era of toe straps and down-tube shifters. Of the 20 cyclists rated the best on the CyclingRanking site, only five competed after 1990, and none of those five ever won the Tour. To explain, let’s dive a little deeper into the weeds of the CyclingRanking methodology. To get it right, Peter Van Uijtregt started from scratch four different times. “That means four times through all the Velo books, websites, cycling magazines, etc.,” Stephan Van Uijtregt said. The resulting algorithm considers both quantity and quality of palmares. If a Tour win is worth 100 points in a given year (to use an arbitrary number), then a third-place finish might be worth 40 points, a stage win 10 points. A Giro victory might net 80 points. Conquest of Paris-Roubaix might yield 60 points. Here’s a real-world example: LeMond snagged all the headlines in 1989 by winning the Tour. But the man he beat, French legend Laurent Fignon, earned more points in the CyclingRanking calculus by finishing second in the Tour and first in the 1989 Giro than LeMond did by winning the Tour and finishing a disappointing 39th at the Giro. And the weightings change from year to year. “There have been eras when the Tour was in pretty bad shape and the Giro was actually attracting really good riders,” Van Uijtregt said, “so we, for scoring, have been fine-tuning the scoring tables” based on the ebb and flow of races over time. This is where a lot of more informed readers will roll their eyes: Isn’t it difficult, if not downright foolish, to compare cyclists across different eras? Perhaps so. All the same, cross-generational comparisons are commonplace — if not entirely fair — in baseball. And what’s really remarkable about the cycling sport is how little has changed, at least in terms of the basic design of the bicycle or the races. This ranking does, however, underscore one enormous change in cycling, of which younger fans may not even be aware. Up until the 1980s, most top cyclists raced across the spring-to-fall calendar, entering as many races as their bodies could stand, winning whenever and wherever they could. But then, around the close of that Reagan-Thatcher decade, cyclists began to narrow their focus, competing in fewer races. Some of the very top men narrowed it to just a single race, the Tour. The men at the top of the CyclingRanking list provide great examples of how the sport used to be, prior to the 1990s. Merckx, nicknamed “the Cannibal” for the way he gobbled up races, won a lot more than the Tour. He was a five-time winner of the Giro d’Italia and Liège-Bastogne-Liège, and he won just about every other major race at least once. Kelly, Ireland’s greatest cyclist, won nearly two hundred professional races in his career, mostly in the 1980s. Kelly never won the Tour, but he won nearly every shorter race worth mention. Kelly was “also a shrewd businessman,” said Peter Joffre Nye, the cycling historian. “Lots of his victories were from breakaways, with domestiques covering the break for their team leader. The domestiques knew that Kelly would crush them in the final sprint, but he worked out deals to split prize money, and they worked like hell for a top-five (or so) finish as he won yet another race.” Nye said he doesn’t like cross-generational comparisons precisely because they miss that sort of nuance. It was LeMond, really, who changed the way cyclists approached the racing season. After claiming America’s first Tour victory in 1986, dethroning the great Hinault, LeMond made the Tour his singular focus. He paid so little attention to the other races he entered, at least in terms of trying to win them, that fans and other cyclists tended to conclude he had lost his form. LeMond didn’t care about the other races. He won the Tour twice more, in 1989 and 1990. He probably would have won in 1987 and 1988, as well, but for a freak hunting accident that nearly took his life in spring 1987. Mount believes many older fans are “disappointed” by the modern-era obsession with the Tour. All those other races matter to the cycling sport, just as each of the 162 games in a season matters to baseball. Many lesser races are every bit as difficult as the Tour, in their own way. Milano-Sanremo, for example, is a one-day race that covers 298 kilometers. Paris-Roubaix traverses a hellscape of cobblestones. The grand tours of Italy and Spain are comparable to (or even tougher than) the French contest in length and gradient, if not in prestige or reach. Studying this ranking brings to mind another, darker trend. From about 1990 on, most (if not quite all) of the men good enough to win the Tour owed their results largely to some form of doping. The successful synthesis of the blood-booster erythropoietin, or EPO, set off an era of pervasive, organized doping. 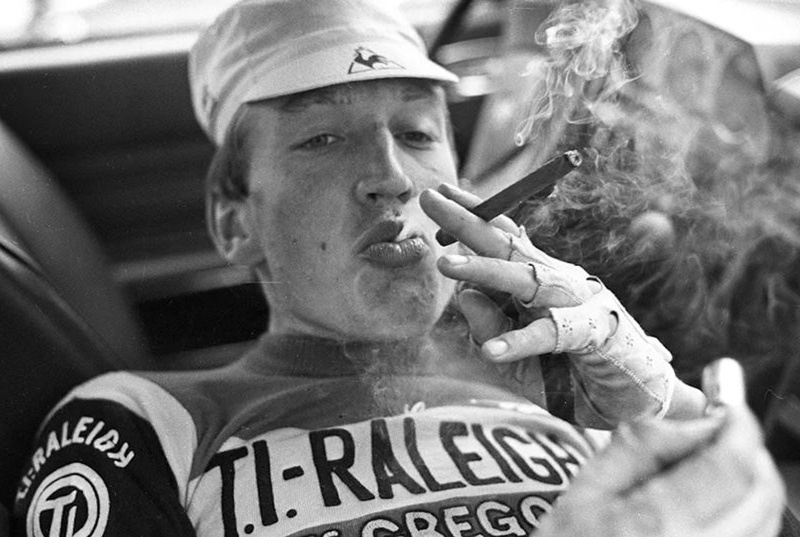 Cyclists took plenty of banned substances before the ‘90s, but the old dope couldn’t transform a middling competitor into a champion. EPO could. A modern-day cyclist might be able to dope his way onto the podium at the Tour de France. But could he dope to victory across a full season, from March to October? Modern performance-enhancing drugs such as EPO can elevate performance for a day, a week, even for the full duration of a grand tour. But surely you can’t stay on any drug indefinitely; eventually, your body must repay what it has borrowed. Could it be that the modern, selective approach to professional cycling has gone hand in hand with the modern doping era, or even allowed it to flourish? Dan Zeman, an exercise physiologist and author who worked with LeMond, diplomatically agreed with both Johnson and Mount. In theory, he said, there’s nothing to stop a cyclist from competing on EPO for a full racing season. But chronic doping can yield unintended side effects. “What you see with this constant pumping of the heart is, something else blows up,” he said. Some top-drawer cyclists still feast on the racing calendar. Consider Alejandro Valverde, No. 4 on the CyclingRanking list, a contemporary rider from Spain who could spend a day at Walt Disney World without being recognized (except, perhaps, by a stray party of European cycling fans). Valverde has won the Belgian classic La Flèche Wallonne five different times spread across more than a decade. He has won Liège-Bastogne-Liège four times in eleven years. He’ll never win the Tour, but he won the World Championship road race just last year, at age 38. Another workhorse of the modern era is Laurent “Jaja” Jalabert, maybe the greatest French cyclist of the post-Fignon era. Ranked 15 on the CyclingRanking list, Jalabert won numerous stage races and classics in a 14-year career, including the Spanish Vuelta. Yet, Jalabert also raced at the height of the EPO era and was accused of using the drug. Valverde, for his part, served a two-year ban for blood-doping. In the end, I think the best thing about the CyclingRanking website is its focus on staying power and honest toil. In baseball, what I love about Hall-of-Famer Nolan Ryan is that he lost nearly three hundred games. In cycling, what I love about Joop Zoetemelk and Alejandro Valverde is that they had to wait until age 38 — both of them — to win a world championship. And what I love about Raymond Poulidor, the Eternal Second, is that he mounted the Tour de France podium eight times without ever reaching the top. Daniel de Visé is author of “The Comeback: Greg LeMond, the True King of American Cycling, and a Legendary Tour de France” (Atlantic Monthly Press, 2018).